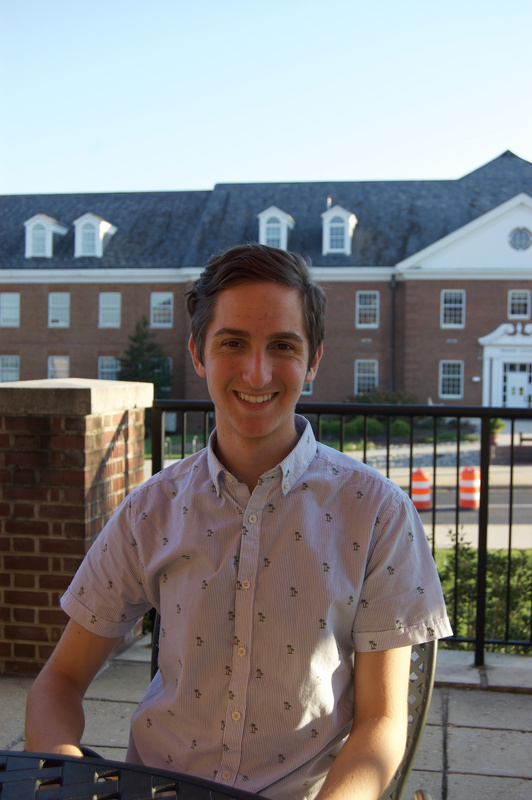 Hamsa UMD, an on-campus Jewish LGBTQ+ and allies club, is becoming a larger inclusive organization for all Jewish LGBTQ+ students on campus at this university. The club started in the early 2000s, said club President Avi Alpert, and has catered to the needs of Jewish LGBTQ+ students and provided an environment of support ever since. Alpert, a junior computer science major, is currently serving in his second year as president of the organization. He comes from an Orthodox Jewish background in North Miami Beach. Avi Alpert, two-year president of Hamsa UMD. Hallie Kay/Mitzpeh. Alpert talked about how the individuals running the club at the time were graduating, and were leaving behind vacancies that people like Alpert could fill. Alpert and Shields identify as both queer and Jewish. “A huge aspect of Judaism is the logical and philosophical debates about how systems of halachot, or Jewish rules, work, and how they can be interpreted, so having more of a personal…stake in…these debates has given me more of a purpose in learning,” said Shields. “Growing up in a religious background, being LGBT can be difficult for a lot of students, because either their families might not be supportive or their communities might not be supportive. I haven’t had any negative experiences, but a lot of my peers have,” Alpert added. Alpert said the club itself became active around 2010. The club held many events, had SGA funding and hosted guest speakers for members of the group. “Our mission is to create a welcoming environment for Jewish LGBT students through events, support groups [and] to make sure they have people to talk to and have a support system on campus,” said Alpert. Hamsa UMD is advertised as a gay-straight alliance club. Both Shields and Alpert highlighted that straight members attend events and are supportive of the club’s goals. The members of the club hold an annual ice cream social at the beginning of the fall semester to welcome students and educate them about the club as well as opportunities for involvement on campus. Hamsa UMD is part of Hillel at this university, and is therefore not officially part of the LGBT Equity Center. However, Hamsa UMD’s events are listed in the Equity Center’s weekly newsletter, the “Rainbow Report,” which spreads the word about LGBT student-related events. According to Alpert, Hillel has been a great partner for Hamsa UMD, and he described them as “very collaborative.” Hamsa works with other Jewish organizations on campus, like Kedma and Ometz. “We focus on Jewish students because there is a special need for support for students that come from a religious background,” Alpert said. Sara Edelman, 20, a Sophomore intended double Business Management and History echoed this same idea. “The Hillel community is one that should be inclusive to all different types of Jews, especially a group like LGBTQ+ students, who may not always feel so accepted by all Jewish communities,” Edelman said. Last year, Hamsa hosted a Hanukkah karaoke event that was around the time students were taking their final exams. Alpert expressed the desire to do this again this year. “There’s many more Jewish LGBT students that just don’t know that we exist or aren’t involved in Hillel, or might even be too intimidated to get involved with Hillel,” Alpert said. No Replies to "Alliance club Hamsa creates safe havens for students on campus"